Durable and sophisticated, our fire pits are a perfect addition to any outdoor space. The natural sparkle of the granite reflects the flame to create a warm glow and serene atmosphere. They are maintenance free and capable of withstanding extreme heat and cold to last a lifetime. 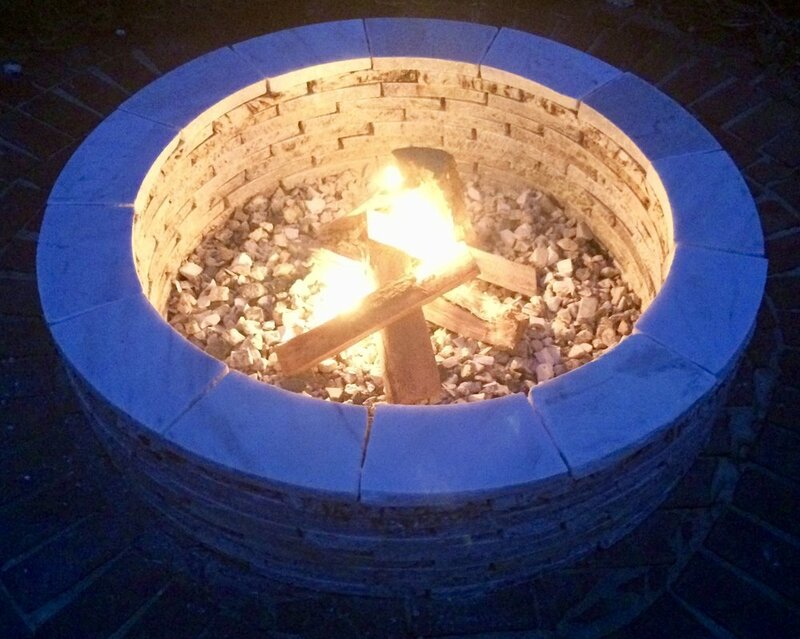 Our fire pits are available as a DIY kit or we can deliver and install for you. * Delivery and installation available, includes high temperature adhesive and the bottom center layered with granite chips for an additional cost. Call for details. Invisablock protects and warranties your granite investment from stains and needing to re-seal your countertops yearly. Invisablock will replace your countertops if there is a stain that can not be removed. It is a 15 year sealer and Magma Granite & Marble is an authorized installer. Speak with your sales representative if you are interested in having Invisablock installed with your project. To learn more about InvisaBLOCK please visit their website. PRO Home Supply is Magma Granite & Marble's sink vendor. They have high quality products and outstanding customer service along with a vast selection of sinks to meet all of your needs.